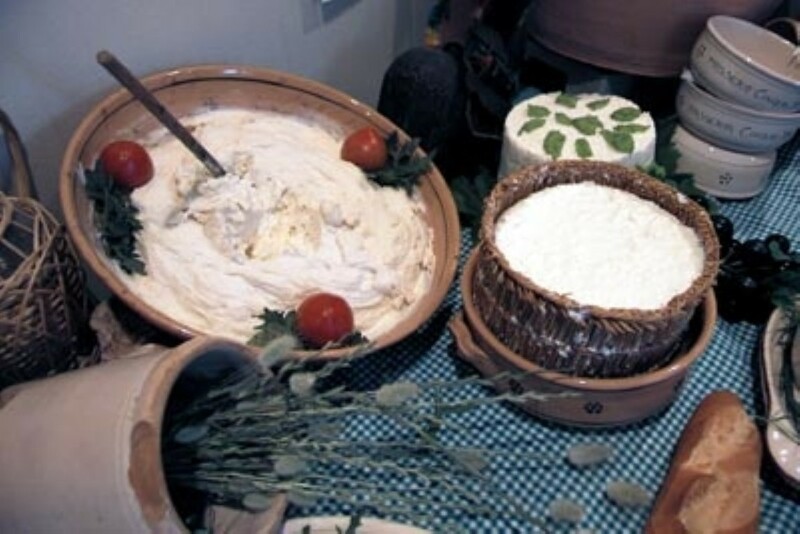 Ricotta is a dairy product made from sheep (or cow, goat, buffalo) milk whey left over from the production of cheese. It is made by coagulating milk proteins, notably albumin and globulin, left over in the whey that separates from the milk during the production of cheese. 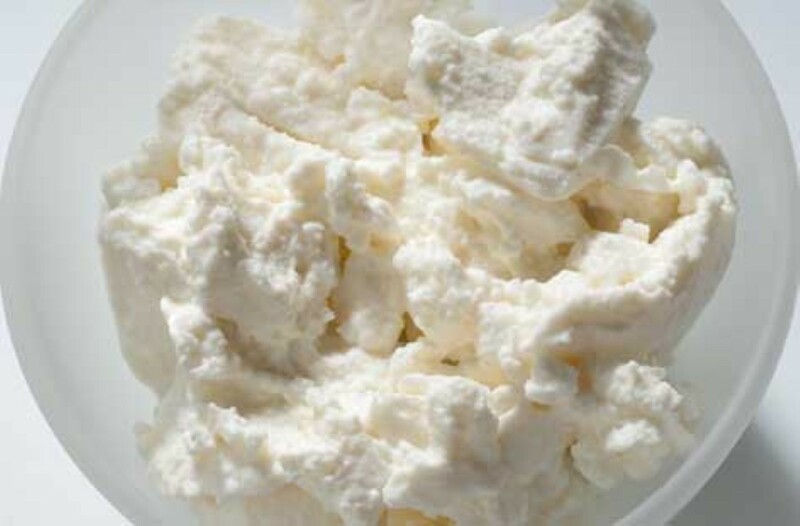 Ricotta curds are creamy white in appearance, slightly sweet in taste, and contain around 13% fat. 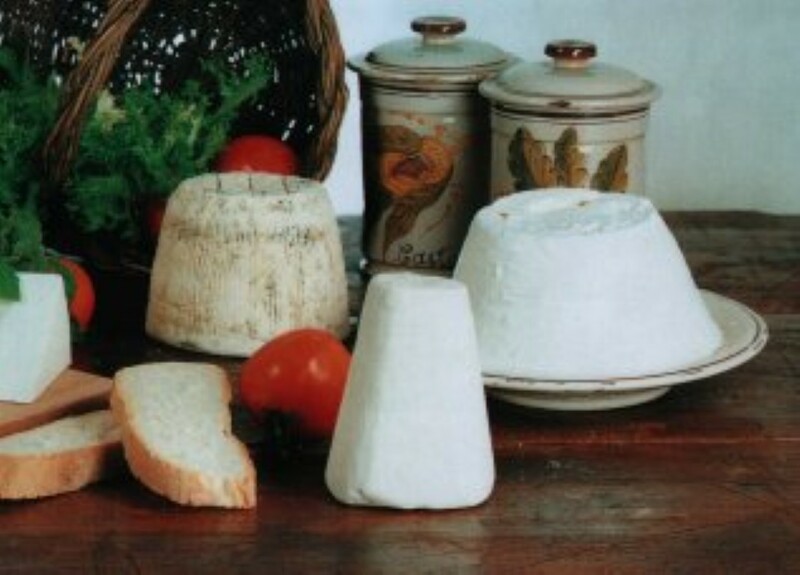 An aged ricotta which is usually grated and sprinkled on pasta. Regular soft ricotta is not an appropriate substitute. Ricotta forte is produced by the process of letting the ricotta go sour in a controlled manner, for about a week, then stirring it every 2–3 days, salting occasionally and allowing the liquid to flow away. After about 100 days, the ricotta has the consistency of cream cheese, with a distinct, pungent, piquant aroma, much like blue cheese but much richer. Ricotta forte, tastes as it smells, extremely aromatic and piquant, with a definite bitter note. Tasted with the tip of the tongue, it has a “hot” sensation. Brian, thank you I will give them a call and see. Perhaps there is an “american” version of this cheese being made under a different name by a new generation but still essentially the same. Fermented ricotta. Gino, i live in Washington state north of Seattle and recently visited a dairy that makes a variety of cheeses and one of their cheeses, sort of like a ricotta dura they called “bargain” cheese and as the name implies it’s less expensive then the other cheeses. When i had a sample the first flavor that i thought of was Ricotta Forte. I am sharing this because you may find what you are looking for at a dairy that has a “bargain cheese” with this familiar flavor. This creamery is Samish Bay Cheese.